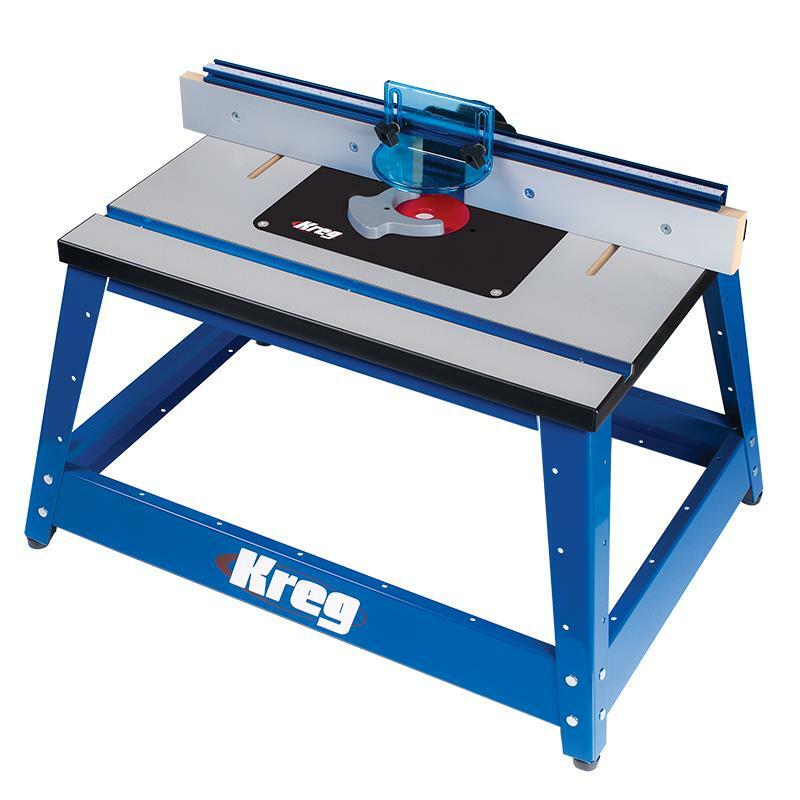 The Precision Router Table Insert Plate measures 3/8” x 91/4” x 113/4” to support even the biggest routers, and it features Kreg’s new Level-Loc Reducing Rings. These rings twist into place and lock in flush with the plate surface every time. Three Level-Loc rings are included: 1″, 13/16” (for use with Porter-Cable style guide bushings), and 21/8“. More Level-Loc ring sizes are available in a set of 5 (sold separately). 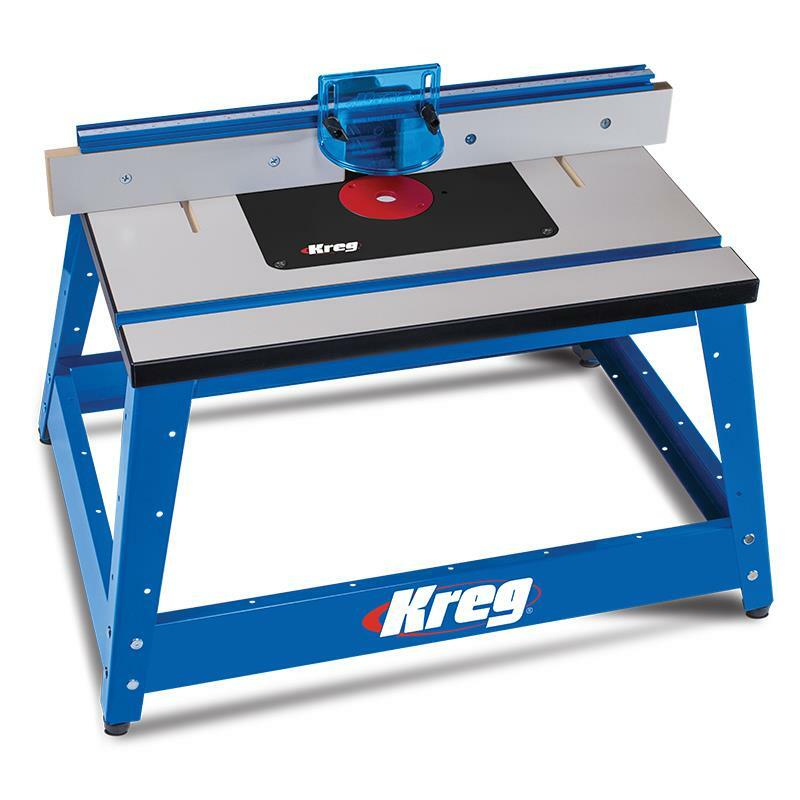 The plate also has laser-engraved markings on the underside that make it easy to mount any router, and it comes with a set of Kreg’s Precision Insert Levelers. The heavy-duty aluminum fence has been redesigned, too, with new quarter-turn locking levers. They allow quick fence adjustment and confident locking, plus are sized so they’re easy to use but stay out of the way behind the fence. 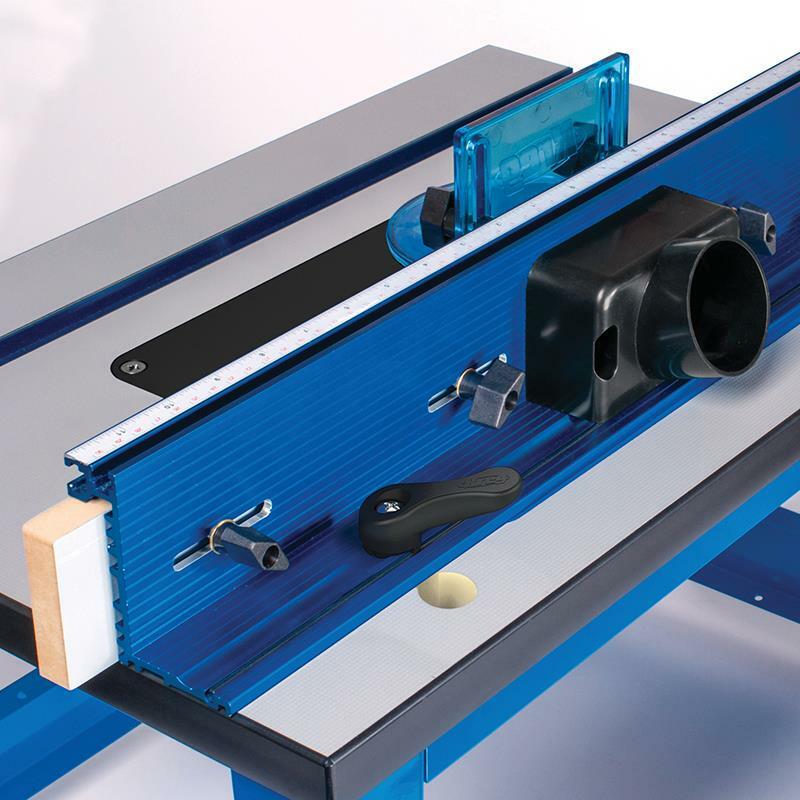 The fence also has independent sliding faces that provide increased workpiece support around the bit, and, with the use of the included jointing rods, allow the table to be used as a vertical jointer. A bit guard and a dust-collection port are also included.